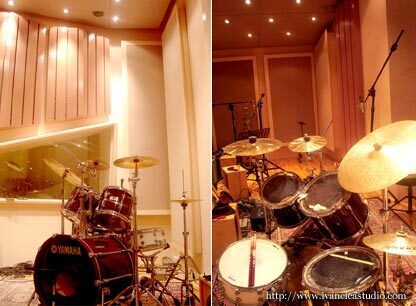 The main concept is modern integration of the best of the analog and the best of the digital. 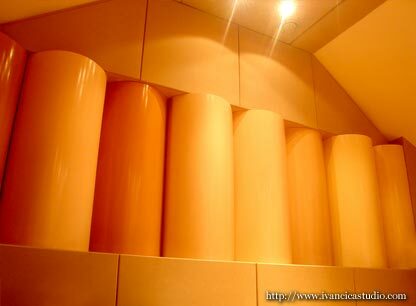 For saving and editing audio signals we use digital resources, but for sound sculpting and channel summing we use analog. Shadow Hills Summing Preamp is the device that perfectly sums the tracks coming out of the Pro tools into the stereo track. 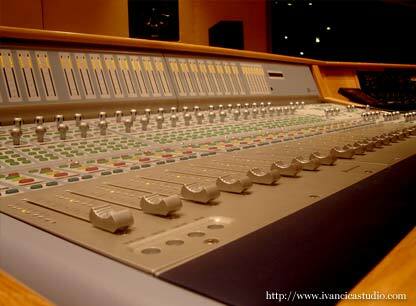 Its sound quality is on par with the best analog mixing desks. 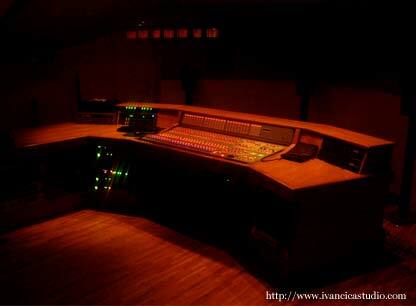 While mixing you can choose between the sound of API, NEVE or DeMedio Custom LA mixing desks. 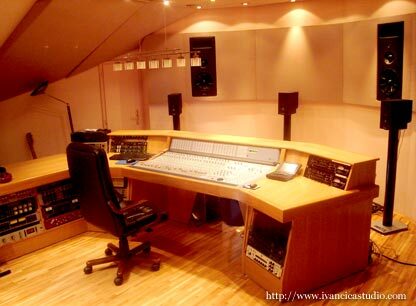 For Stereo master buss we use Shadow Hills Mastering Compresor as well, because besides those 3 kinds of sounds there is also a posibility to choose between Opto or VCA compression. For example: You can choose an API style sound coming out of the Summing Pre and Neve style sound for a Compressor. 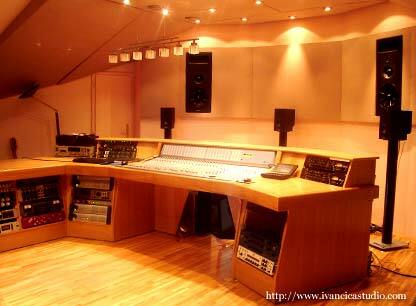 Studio uses Digidesign Pro tools HD 4 Accel Hard disk recording system. 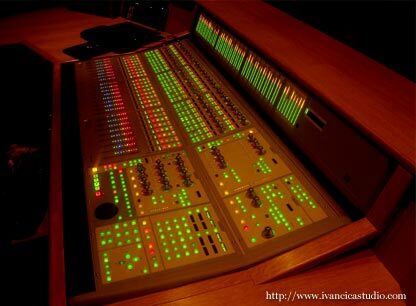 This system is able to handle more than one hundred audio channels in the mix full of plugins. 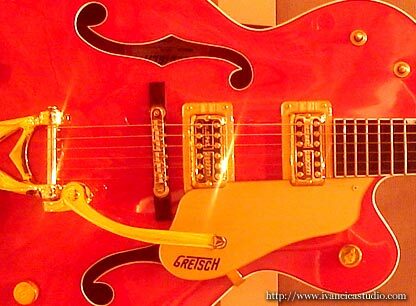 Michrophone pre-amps are of the highest quality. 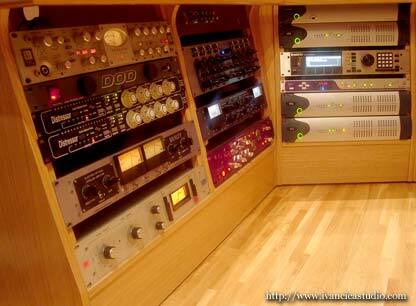 They cover the whole spectrum from the cleanest to the colored or tubed (we use Telefunken and Mullard tubes only). 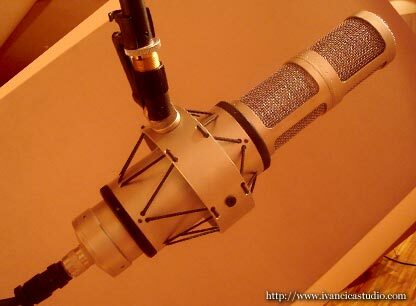 The microphone choice will satisfy all kinds of artist's requiries, from Brauner VM-1S to the "colored " Neumann U-67, AKG C-24 and C-28) or ribbon (Royer 121, Bang&Olafssen- RCA ribbon) microphones. Reactions of the singers who sing on those microphones are awesome. We do the outdoors recording, too. 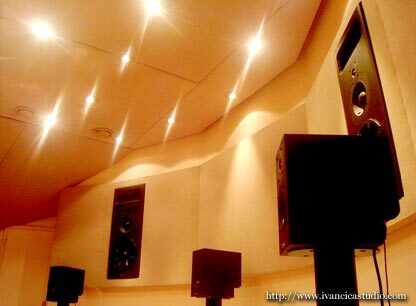 We can guarantee that your records would sound much stronger and more vibrant after our mastering. TC electronic System 6000 device is great for finishing audio tracks and setting the width or depth of the recording signal. 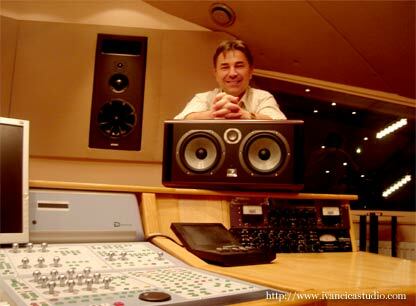 George Massenburg Eq software offers you a high-class equalization and filtering in stereo and 5.1 surround format. Reverbs, delays and plate programs in stereo and 5.1 surround formats are the top of the heat, same as Eventide Orville multichannel device which can produce any sound effect you can imagine.